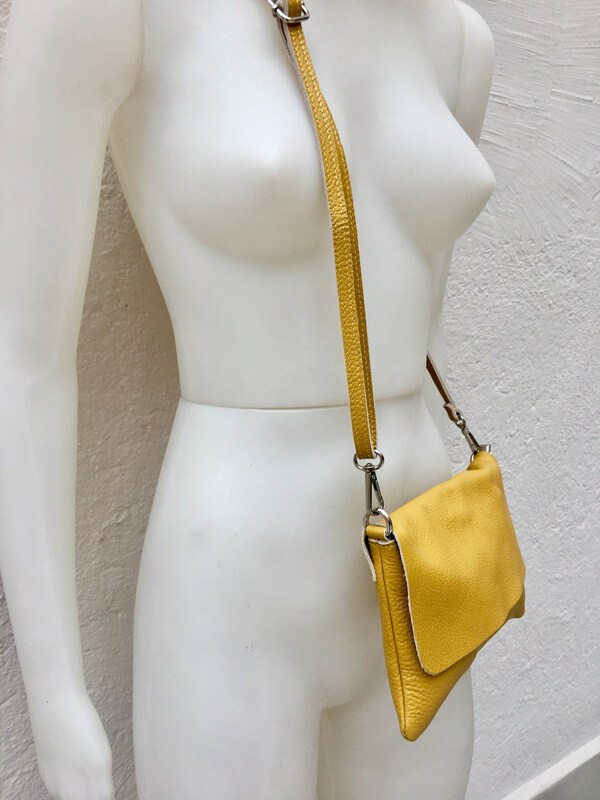 Small leather bag in MUSTARD YELLOW .Cross body bag, shoulder bag in GENUINE leather. 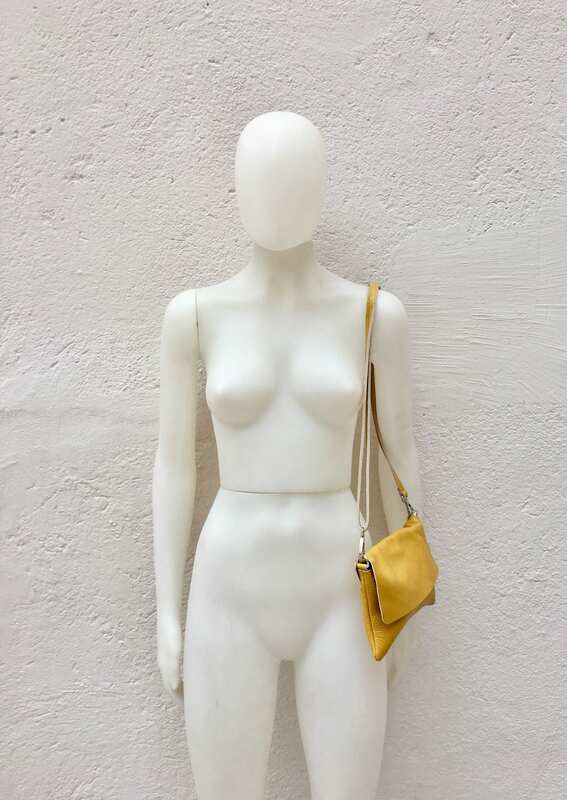 Yellow bag with adjustable strap, zipper and flap. 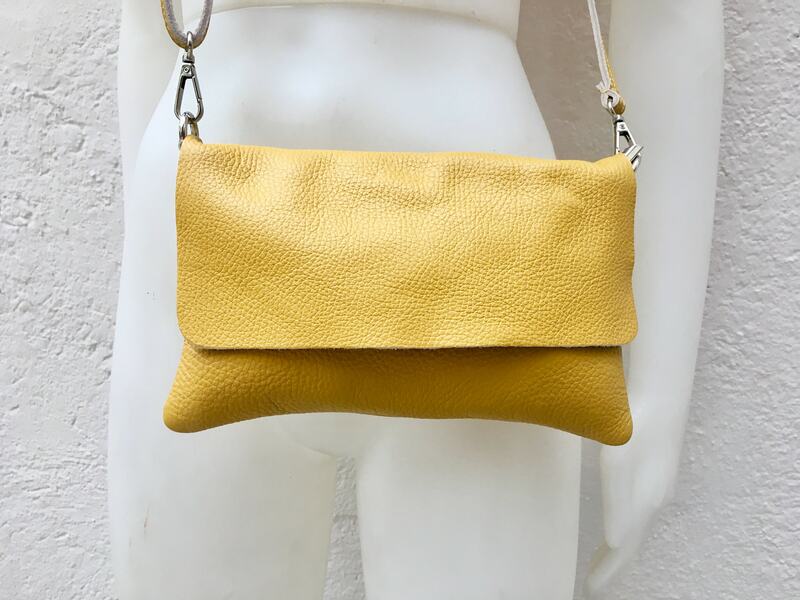 Leather bag in MUSTARD YELLOW . Natural, soft genuine leather. 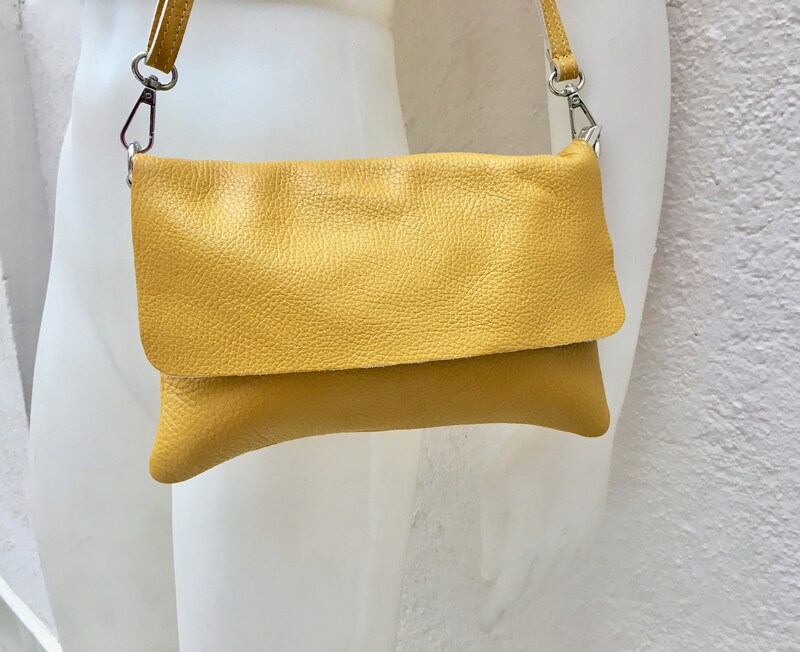 Small cross body bag in soft but strong leather. BOHO, Festival cross over bag.. Closed by a zipper and also a leather flap. 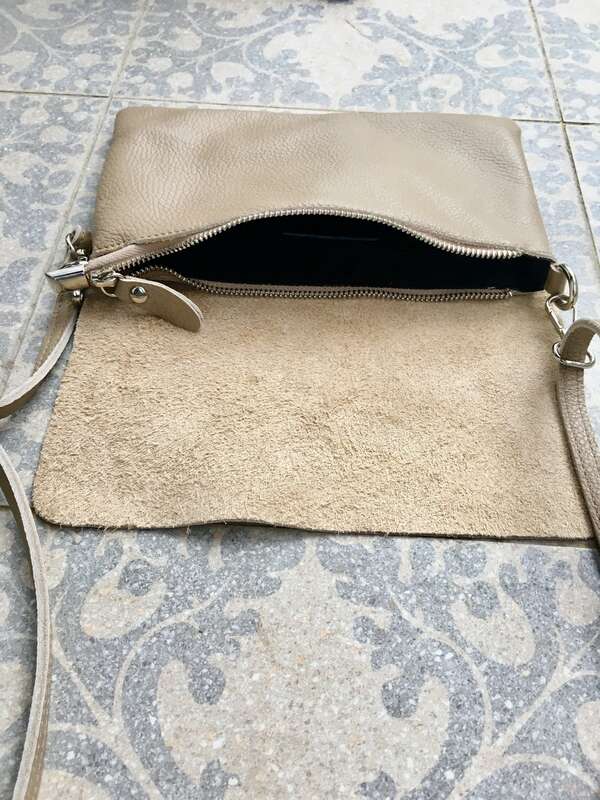 The inside of the bag is fully lined in a strong nylon-cotton mix fabric eith a zipper closed pocket inside.